As I am coming in on a close to my study abroad experience I have been reflecting on all the things that have made this new part of my life so special – getting to experience my culture firsthand and learn what it truly means to be an Italian, traveling to new and amazing places I could have only ever dreamed of visiting (and figuring out how to get from point A to point B with as few roadblocks as possible), my amazing roommate who I am so glad to have experienced this journey with, the friendly staff at SAI Florence who have been there with open arms my entire stay, and lastly – Florence. The amazing view from the outside sitting area at FUA overlooking the Arno! Growing up in an Italian family I have been surrounded by the language, food and culture my entire life – for as long as I can remember we would have huge spreads of meats, cheeses, and olives out on the table for casual snacking and I would wake up to the smell of fresh bread in the oven and sauce on the stove and I would sit with my father and look up a google map of Formia, Italy (the town he is from) and daydream about visiting Italy one day. I still have to pinch myself to know that I am here and that I have spent the past three months of my life experiencing firsthand Italian culture… my culture, in Italy! So, to my parents for making it possible for me to be here and for believing in me always, Thank you. 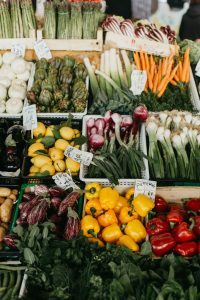 One of my favorite things to do early in the morning is head to the markets here in Florence! Random roommates can be a scary thing; it is either going to be awful, okay, or amazing. Thankfully I came out on the amazing side! My roommate Molly and I have got along so well from the first night where we bonded over cold water and no heat (tiny hiccup that is well worth a historic apartment in the City Center). From that night on we have gone on adventures all over Italy, studied Florence inside and out, and found all our favorite local cafés, sandwich shops, and fruit stands! Being a photography major means finding people to be patient enough to let you take a million photos of them for hours on end – and without fail this semester that person was Molly. So, Molly, Thank You. Thank you for figuring out Florence with me, for posing in every possible pose for every possible photo, for sharing endless amounts of olive oil and for all the late night laughs. 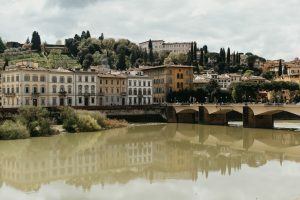 Day trip recommendations, random questions, cooking class signups, tasty candy, and a few familiar faces to simply sit and talk with are all things I can always count on when heading into the SAI Florence offices. The amazing people working at SAI here in Florence have become a huge part of my experience in Florence – they care so much about each student who walks into that office that going into the office is something I look forward to whether it is to pick up some mail or sign up for one of the awesome excursions they offer! So, to my amazing SAI staff for the full bowl of candy and comfy red couch, for always laughing with me about my newest bump and bruise, and for always making me feel welcome and comfortable, Thank you. 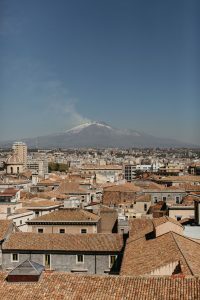 View of Mount Etna from a recent trip to Catania, Sicily! Travel has always been something that has intrigued me, the thought of going to new places and learning about a culture and way of life so drastically different than my own is what has lit the wanderlust fire in me. As much as I travel to different places and love every second of being in these amazing locations away from Florence I always find myself longing for it… Florence has become a second home for me and I will forever long for the cobbled streets, terracotta roofs, the sound of an accordion filling my room during the day, the fresh fruit stand right outside my window, the Tuscan countryside, the culture and the locals whom I have grown so fond of. I will forever carry a piece of Florence with me. Florence is one of the most special things that has ever happened to me and without it I would have never understood my culture as I do now, never made a lifelong friend, never understood the importance of having a group of people rooting for you and always having your best interest in mind in place so far from ‘home’ and most importantly without Florence I would have never learned as much about myself as I have during my time abroad. 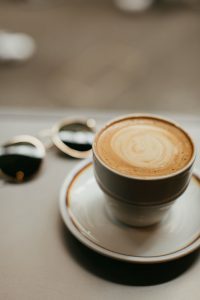 Coffee is a must. Always. Caroline is an SAI Florence spring 2018 student from the University of Central Florida.